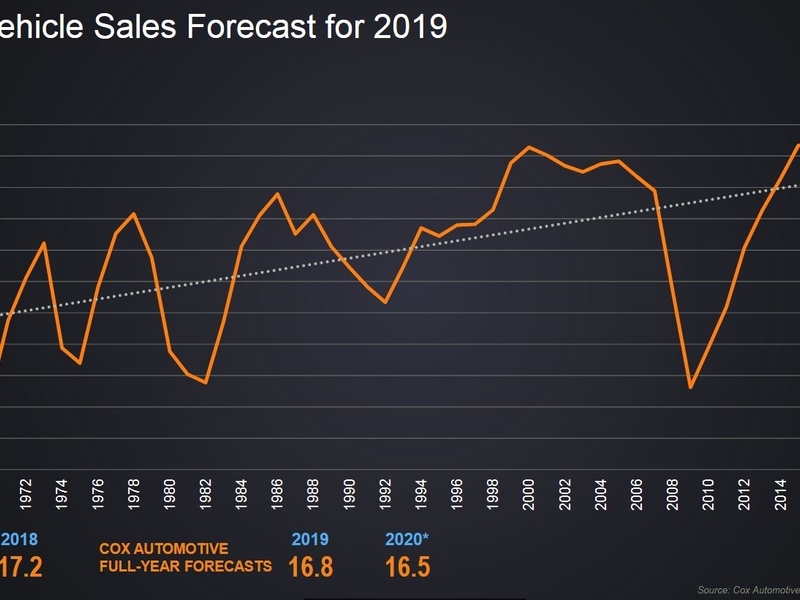 Tax reform was one of the key drivers for the boost in 2018 sales, but it also could contribute to a decline in 2019, said Jonathan Smoke, Cox Automotive chief economist. Federal consumer spending data revealed 2018 tax reform gains spent during the year helped offset the pain of interest rate increases, though Smoke said consumers who anticipate and rely on sizable tax returns may be disappointed in the spring. “The tax withholding tables were too aggressively adjusted, and when we look at the data, we actually have seen that withholdings have declined by a larger percentage than the tax rate change would have implied,” he said. That means many consumers could owe more in taxes or could receive lower tax refunds. The effect could also damage their credit. Americans that rely on tax returns to pay off credit card debt incurred through holiday spending won’t receive the same cushion this year, nor will the potential down payment on a vehicle purchase be quite as robust. Last year, more than 102 million Americans received a refund. The average refund amount was $2,800, Smoke said.